Paper Layerz is the paper that makes coordinating die-cut shapes and layers from ANY die-cutting machine faster, cheaper and easier! 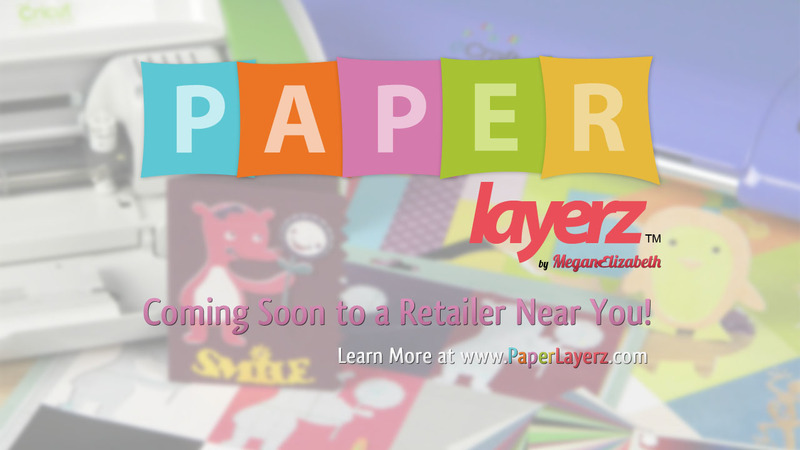 Watch the video on the right to learn about how Paper Layerz can be fun and save you time and money! The Coordinated Die Cutting Paper for Easy Layering. Paper Layerz is a unique scrapbook paper specifically designed to make coordinating and layering your die-cut images faster, cheaper and easier! 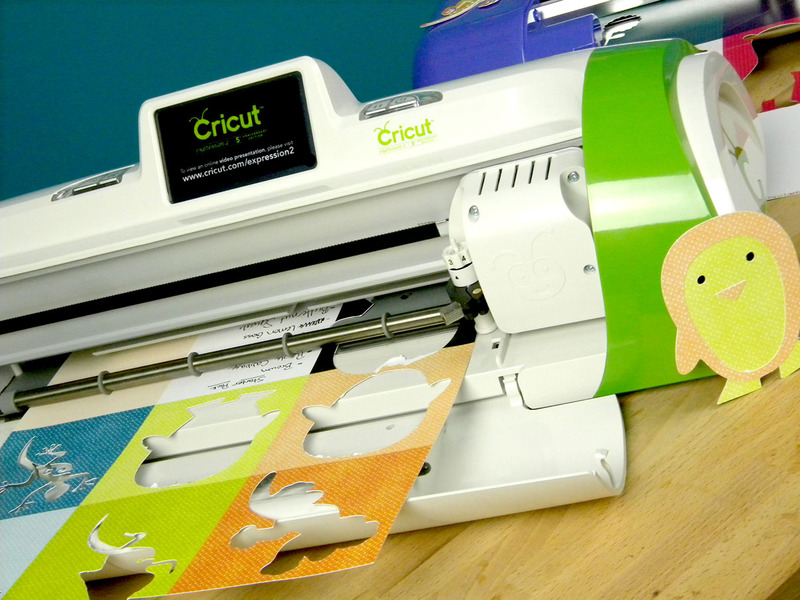 Cut out all the layers of an image from your Cricut, Sizzix, eCraft or any die-cutting machine from ONE sheet! 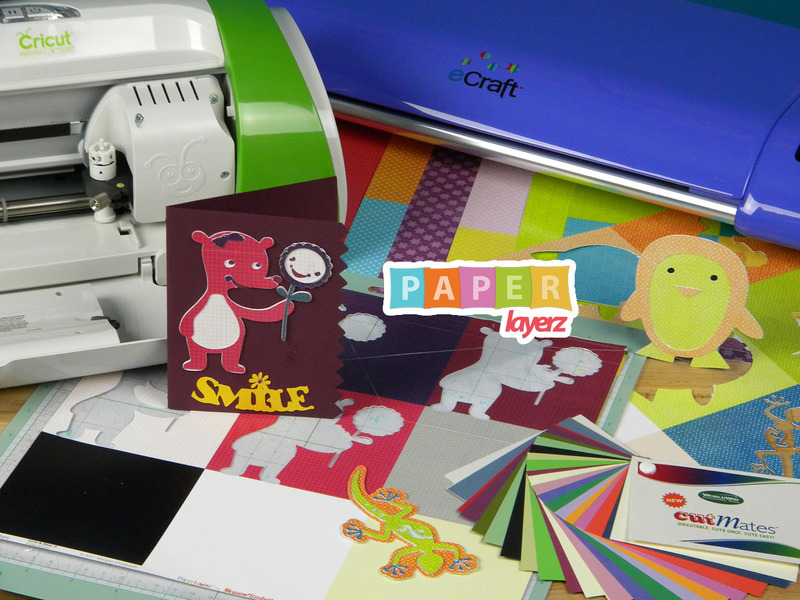 Paper Layerz uses CutMates card stock, a special, formulated paper that is designed to cut easily and tear free the first time in your die-cutting machine. Your edges will be crisp and clean and the cuts will be complete. Coordinate your die-cut images with ease! The Paper Layerz patterned designs make coordinating your projects a breeze. They're simple and subtle that can coordinate with holidays, themes and events. Base and shadow colors are also included on every sheet and new patterns are released regularly. Paper Layerz makes it easy to have your layouts and cards POP! Use the full pattern design on the reverse side to use as scrapbook or card backgrounds. Paper Layerz cardstock is textured and comes in standard 12in x 12in dimensions. Paper Layerz is available in the Above Rubies Studio online store! As an avid die-cutting machine user, I've designed "Paper Layerz" just for YOU, the Die-Cut machine User! Not only is this paper specifically formated to save you time, energy, money and frustration from rough cuts and tears, it's a no-waste paper with brilliant colors that make coordinating your die-cut layers faster, cheaper and easier! Start with your base colors, then mix and match for all your cards, scrapbookbook pages and home decor projects. Awesome, finally someone realized a need for a paper like this. Most "scrapbook" paper is too thick and the regular cardstocks variations are so widespread it makes layering difficult. A BIG THANK YOU for this idea. Can't wait to get my hands on some!! This paper is one of the greatest ideas in crafting. I love it! Thank-you!! Oh this is so nice everything you need to layer in one place. Great idea! Thank you for sharing. Prefer to have the real DVD that you can play at home? The Paper Layerz DVD is also avialable in the Above Rubies Studio Online Store!